The Champagne harvest is complete for 2016! The grapes have all been picked by hand and are now bubbling away in their fermentation vessels! Learn about the laborious and extraordinary process of harvesting in Champagne below. 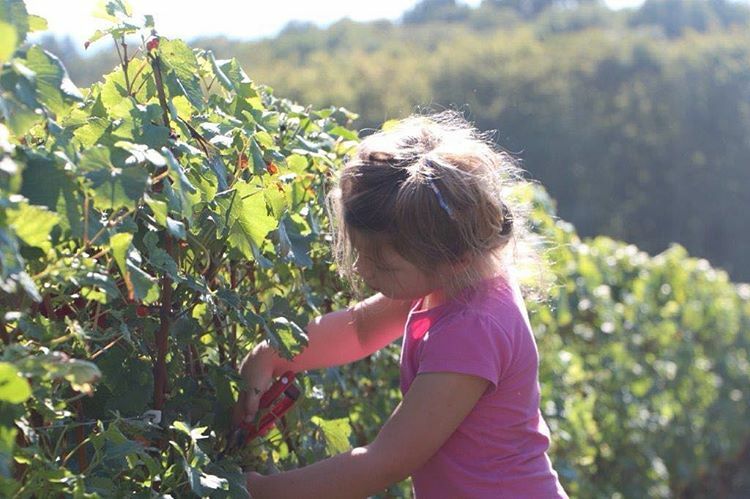 All of our growers hand-pick their grapes each harvest season. Bunches of grapes are snipped directly from the vine using secateurs (small pruning clippers), then placed in buckets and baskets that are transported to each family’s press. Although the process is extremely laborious and requires a lot of people, hand-picking ensures that only the highest quality grapes go into each pressing. Once the grapes arrive at each family’s cuverie, they are weighed and measured into the press. Many of our growers still use traditional wooden presses (pictured below), that gently press grapes into juice that is channeled to tanks underneath. Between each press, the grapes are mixed with pitch forks to ensure maximum juice extraction. After pressing, the grape juice is stored in barrels, concrete tanks, or stainless steel vats for primary fermentation. The juice is tasted at various stages of fermentation to determine future blends and vintages. 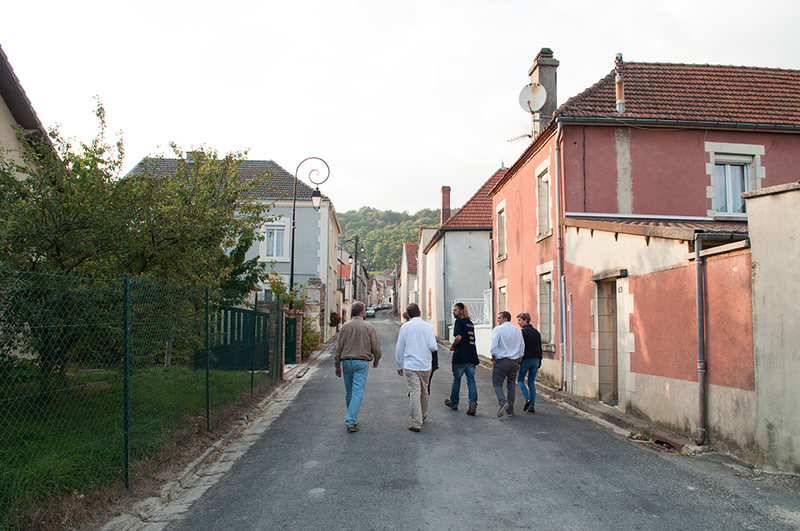 Bryan will be headed back to Champagne in January to taste the freshly fermented wines. We can’t wait to see what’s bubbling up! The Special Club, or Club Trésors de Champagne, was originally founded in 1971 by 12 of the oldest families of the Champagne region. Since then, the club has grown to include 29 producers committed to excellence in all aspects of production. This exclusive membership is only open to Recoltant Manipulants (a French designation for a producer of grower Champagne). Champagnes must be produced, bottled and aged at the member’s estate. The Special Club Champagnes represent the tête de cuvée (a premier bottling often carrying a vintage date) selection for each member. Special Club Champagnes are only made in outstanding vintages from grapes harvested from member’s own vineyards. Each producer must submit his wine to two blind tastings panels of esteemed oenologists and wine professionals. The still wines (vins clairs) are tasted first and if approved may be bottled in the uniquely-shaped Special Club bottle before undergoing secondary fermentation. After a minimum of three years aging on lees, the wines are tasted again for final approval. In essence, the purpose of the club is to showcase the terroirs of Champagne. Every bottle is assured to be excellent, but they will vary in flavor as a result of the specific place and time the Champagne was produced. 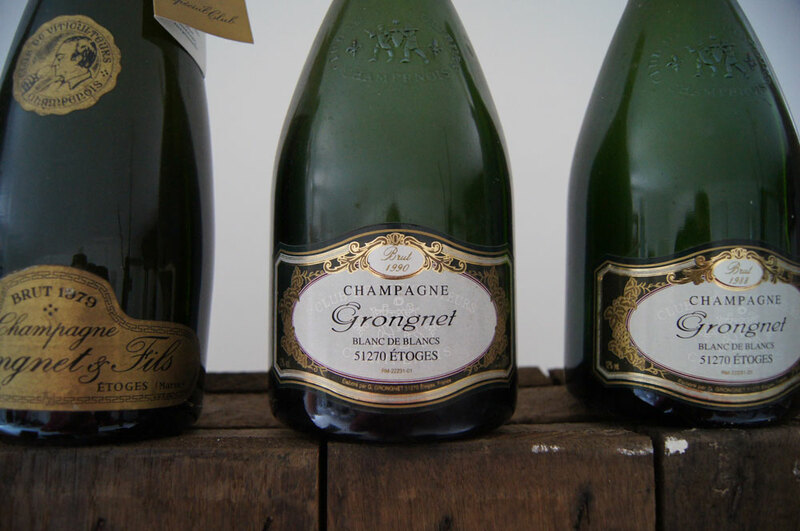 Fat Cork is proud to be the exclusive importer and retailer of Special Club Champagnes from two different producers Hervieux-Dumez & Grongnet. Trépail, the beautiful home village of the Redon family, is one of the sunniest places in all of Champagne. The additional light makes their grapes—mostly Chardonnay—extra ripe upon picking, leading to fruit-forward and elegant wines. The Redon family now produces two distinct lines of Champagne, one by the father, Pascal, and one by the eldest son, Adrien. Pascal Redon’s cuvées are classic and full-bodied, while Adrien’s cuvées are fresh and dry. Both labels use the same old vine vineyards and the family’s traditional wood press, but create their final cuvées in their own unique style. Watch the video for a quick look at the sunny vineyards of Champagne Redon! We are thrilled and honored to announce that our producer, Laureen Baillette and Madam Baillette of Champagne Jean Baillette-Prudhomme will be visiting the Northwest in April! They are traveling all the way from Trois-Puits, France to join Bryan on a Northwest adventure of vineyard tours, seminars, tastings, and of course, a visit to Fat Cork. 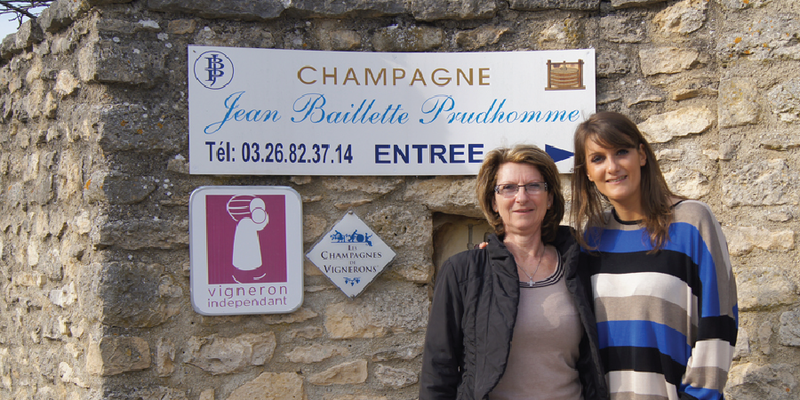 We are very excited to show the Baillettes our warehouse (where we have proudly imported their Champagne from day 1!) and all that the Northwest wine industry has to offer. Save the date for one (or all!) of our events with Laureen Baillette. Public Event | $20/Club, $30/Public | Tickets here! Join us over your lunch hour to learn the history of Champagne Jean Baillette-Prudhomme from the vigneronne herself! Laureen will explain her unique approach to Champagne production, tell the incredible history of their family, and describe each of her fine cuvées in great detail. Tasting Champagne on a Monday afternoon is a beautiful way to start the week and live life! Small bites will be provided. We’re limiting this intimate seminar to 30 seats, so purchase your ticket soon! We are honored to work with local chef extraordinaire, Ethan Stowell, to create an evening of incredible food, delicious Champagne and great conversation with our French guests! The menu, location, and price are still in the works, but please RSVP to Erica@FatCork.com as soon as possible if you’re interested as this dinner will certainly sell out quickly. Mr. Rollin Soles is an icon for high-quality, Méthod Champenoise sparkling wine made in America. He and his wife, Corby, have been supporters of Fat Cork since the beginning and they were the first people we contacted when Laureen said she was coming to town. Getting Laureen and Rollin together to talk and taste Champagne will be a great time and quite educational! Space is limited, RSVP to Erica@FatCork.com. 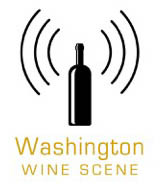 Wine Industry Members | Tickets here! Attention wine makers all around the U.S.A., we are honored to have so many of you as Fat Cork customers! If you’re already making sparkling wine or are interested in doing so, this event is for you. Laureen Baillette will be featured on a panel alongside sparkling wine experts from Oregon and California to lead an all day workshop about everything sparkling. This is an opportunity to ask the experts all of your geeky questions, taste base wines, and learn the details that go into making great sparkling wine. Click here for tickets. Disgorgement – the Grand Finale! After base wines have been created, they are blended, bottled, and fermented again inside the bottle. Then comes the magic; the wine ages for years on its lees (dead yeast cells) and develops extraordinary flavors. Disgorgement is the process of removing the lees from the bottle, leaving clear, beautiful Champagne behind. After disgorgement, a small amount of still wine and sugar (dosage) may be added, and the cork is put in place. Champagne Redon corking their bottles after disgorgement. Traditionally, bottles were disgorged via a method called “A la Voile” (see Bryan’s photo above) where the vigneron would quickly remove the temporary bottle cap and place a thumb over the opening before losing too much Champagne. Now bottles are typically frozen at the necks and the lees are removed in a frozen plug. Fat Cork producers only disgorge their Champagne when it’s ready. Years of aging on the lees creates layers of complexity and beautiful aromas. Because all of that aging is done in cool caves and in bottles that are sealed by bottle cap, there is limited exposure of the wine to oxygen. And that makes freshly disgorged bottles both aged and fresh at the same time. The combination of these two characteristics (age and freshness) is the pinnacle of great Champagne. At Fat Cork, we always display the disgorgement date (the day the bottle was corked) so you know exactly how long the cuvée aged on its lees and under cork. Gimonnet-Oger Blanc de Blancs Millésime 1996 Premier Cru ($159) After aging peacefully in Jean-Luc Gimonnet’s cellar for almost 20 years, this Champagne has incredible complexity and character, but is still fresh! 1996 is an exceptional and rare vintage, especially with a recent disgorgement date. It’s magnificent to enjoy right now, but will also age under cork for another decade. Perrot-Batteux et Filles Cuvée Helixe Millésime 2009 Blanc de Blancs ($67) Perrot-Batteux is known for producing elegant Chardonnay from her ideal location in the south of Champagne. This particular cuvée is from 2009, which provides a wonderful maturity. Containing only Chardonnay and being recently disgorged provides a light and lively taste, with a pleasant acidity. The gorgeous fall colors of the Champagne region! Photos by our wonderful producers.